Advertise your business or display a personal message to our Club or Rotary. 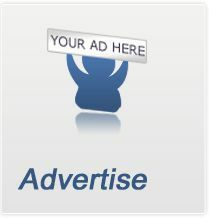 The website you were viewing can display banner ads across all pages. The distribution is even across all pages, including the home page and e-bulletin. Height: Varied. Prices are set according to the height of your ad, or on a quotation basis. You will need to provide a graphic logo for your business or the text you wish to appear in the advertisement. If you do not have a business logo, Our Club can create one for you at a fee of an additional $50.00 fee to Our Club. If you are interested in advertising or desire more information on advertising your business, please contact Matthew Barrier (mwblegal@gmail.com).